I’m concerned about the birth date. He (or she) is due Feb 7th. The Super Bowl is on Feb 3rd. That’s just a difference of four days. I had a good talk with Mikey Jr last night. I told him (or her) the importance of arriving ON TIME or later due to the Super Bowl. Mikey, I’m confused. What does that have to do with a 12-minute circuit? do that Don’t Ask, Don’t Tell thing”. 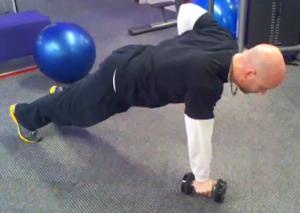 the renegade push ups, walking lunges and squats. 12 minutes, resting as little time as possible. Campers record only complete rounds. Do timed sets of the above exercises, 30/05 for five rounds. can still do this circuit challenge at home. on until you complete 1 rep of each. Good times… good metabolic times. 12 Ladder Workouts I’ve created. camper favorite… the Ab Finisher Ladder after workout #2. 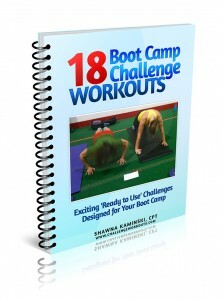 We’ll send you the 12 Ladder Workouts as a FREE bonus. and tell Cole to please send you the 12 Ladder Workouts. is also throwing in a BONUS TRX program.